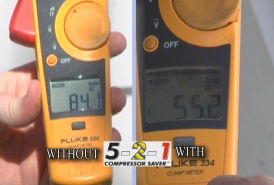 If you would like to see how the 5-2-1 Compressor Saver® is actually installed, please view the Installation Video below. 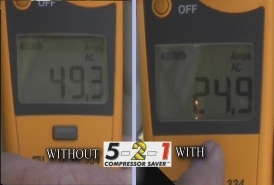 The installation portion of the 5-2-1 Compressor Technical Video identifies several important installation tips including how to easily identify the run side of the contactor and run capacitor. In addition to demonstrating the "before and after" in-rush measurements, we also demonstrate an important test to verify that the start components are working properly.